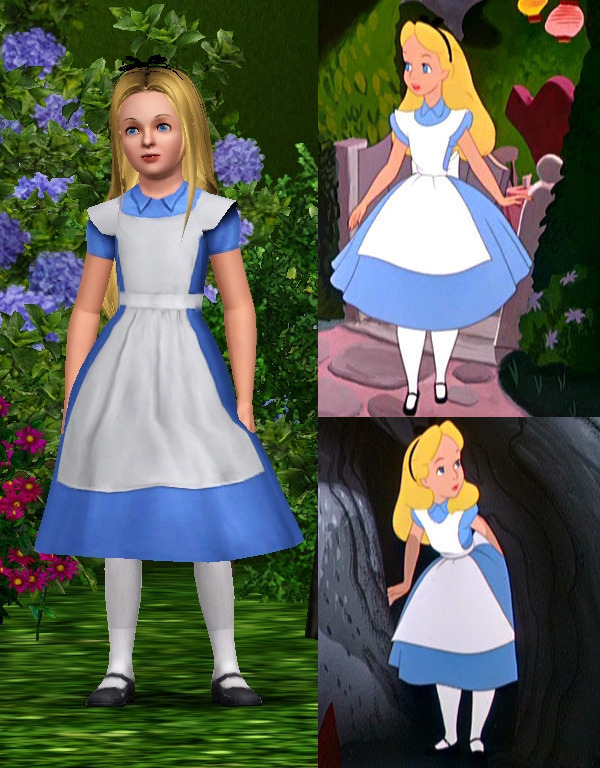 Alice is the main character of the story "Alice's Adventures in Wonderland" and the sequel "Through the Looking Glass and what Alice found there". 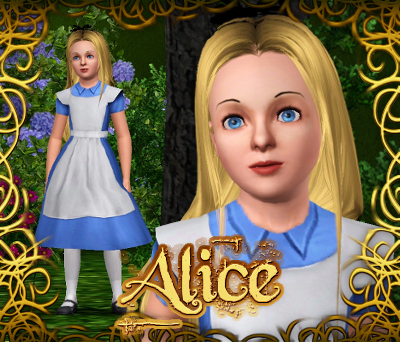 She is a seven-year-old English girl with lots of imagination and is fond of showing off her knowledge. 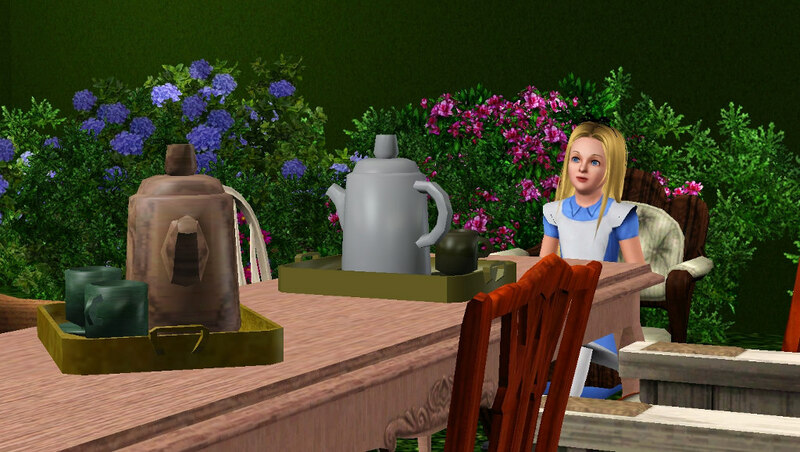 Alice is polite, well raised and interested in others, although she sometimes makes the wrong remarks and upsets the creatures in Wonderland. She is easily put off by abruptness and rudeness of others. 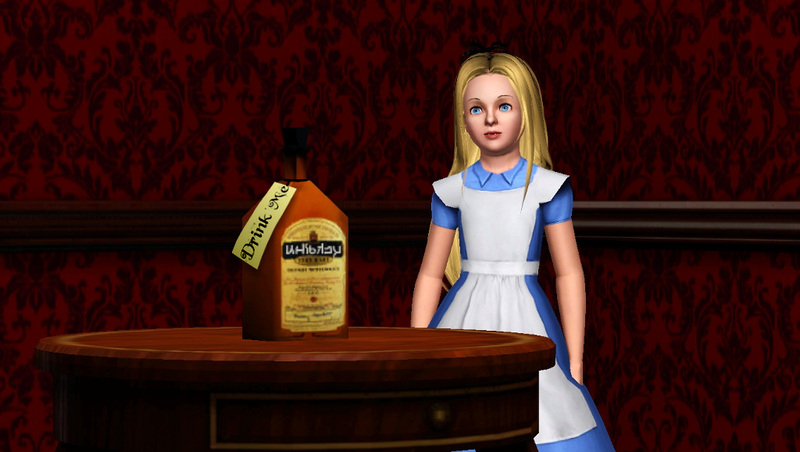 What Alice Needs To Work! 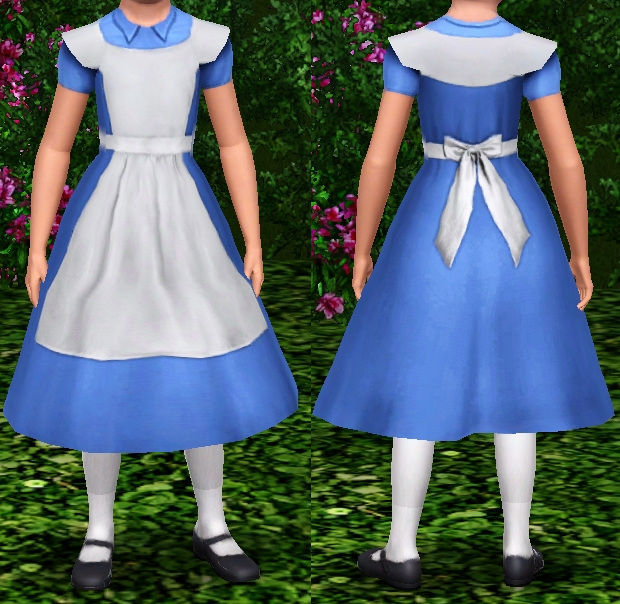 The files Alice_Dress_byAnubis360.package, Alice_Hairband_byAnubis360.package and Alice_Eyebrows_bydaluved1.package go to Mods/Packages folder. The dress was made by me, DO NOT re-upload it anywhere. 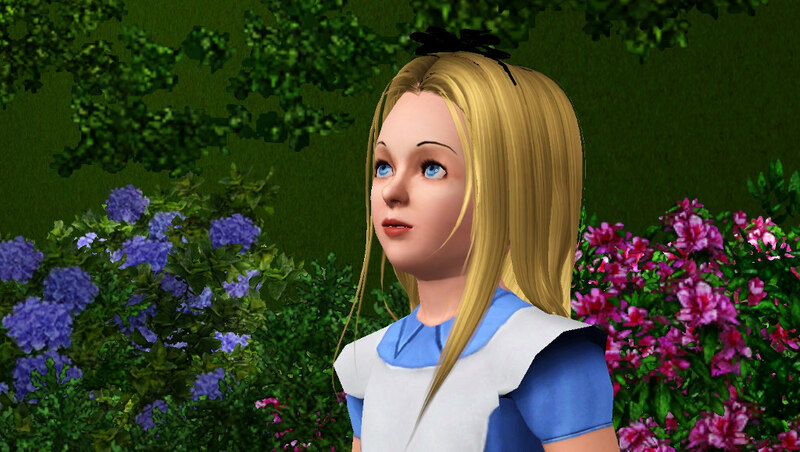 If you want to use it in your sims, just link back here. The hairband was coneverted by me from Peggy's, and it just fits NewSea hair. DO NOT upload it anywhere. 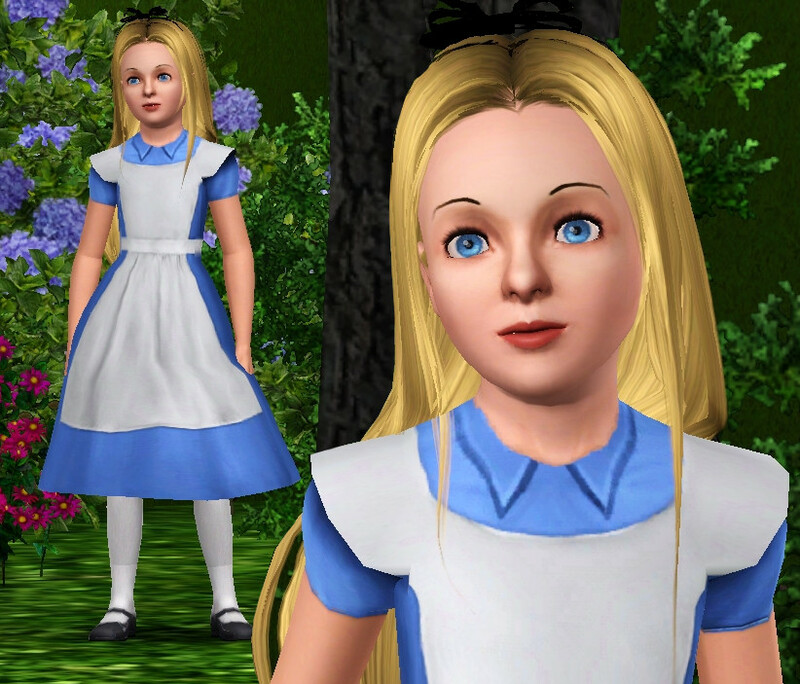 If you want to use it in your sims, just link back here. She's so far my favorite book and movie character! I hope you like her! All the awesome people from the CFF!